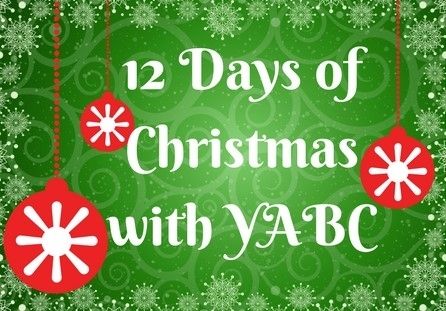 Welcome to YABC's third annual 12 Days of Christmas Giveaway Extravaganza! We're featuring some of the hottest titles of the year--perfect for the book lover on your holiday list!--with exciting prize packs every day for the first twelve days of December. Each giveaway will run for seven days. Giveaways are US only due to publishers' rights restrictions in other territories. Today, we have TWO prize packs (please note the separate entry form for each). The first prize pack is full of awesome Young Adult titles from Harper Teen Publishing! The second prize pack is a fabulous selection of engaging holiday Childrens' books presented by HarperCollins Publishing. The entry form link is below the prize pack. Author Chat with Shelley Sackier (The Antidote), Plus Giveaway! The Harper Collins YA book that most appeals to me is "The Afterlife Of Holly Chase"--it sounds like a fun reworking of the Scrooge story! The Harper Collins children's book that most appeals to me is the Doldrums book--I've read the first book and now I need to read this! The Harper Collins YA book that most appeals to me is "The Afterlife Of Holly Chase"--it sounds like a fun reworking of the Scrooge story! The Harper Collins children's book that most appeals to me is the Doldrums book--I've read the first book and now I need to read this! Most excited for the afterlife of holly chase! The after life of Holly Chase sounds interesting and the Doldrum sounds really fun. I'm excited about The Afterlife of Holly Chase. I'm excited mostly to read The Afterlife of Holly Chase. I'm excited to read Bear's Merry Book of Hidden Things. I'm excited about The Doldrums! I am most excited about the Witch's Kiss and the Doldrums.